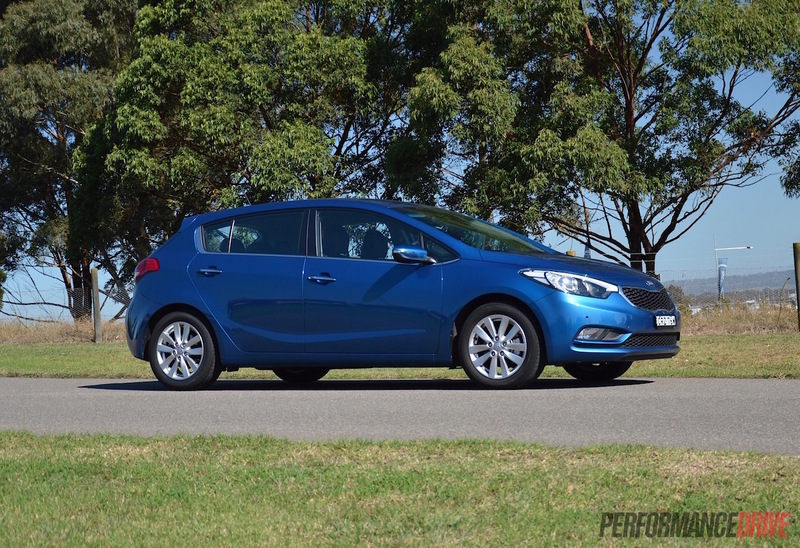 The Cerato sits in one of the most competitive market segments, locking horns with the Mazda3 and Toyota Corolla, also known as the two best-selling cars in Australia. 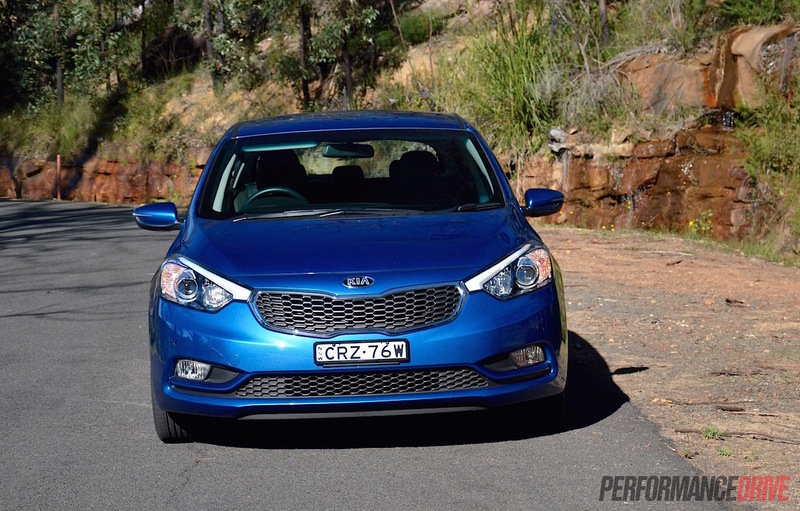 Can the updated 2015 Kia Cerato Si perform well enough to excel amongst the peers? 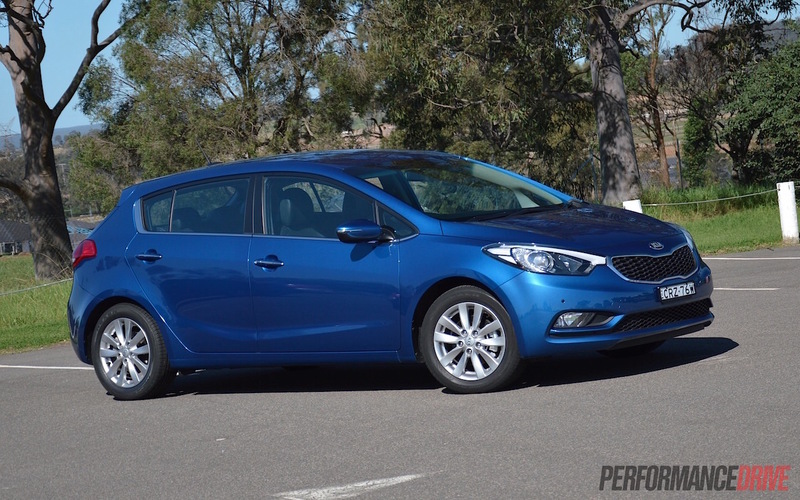 The Si variant sits above the S and the S Premium and below the SLi, in the middle of the Cerato lineup. This alone is impressive considering the sizeable list of features that come standard on the Si. 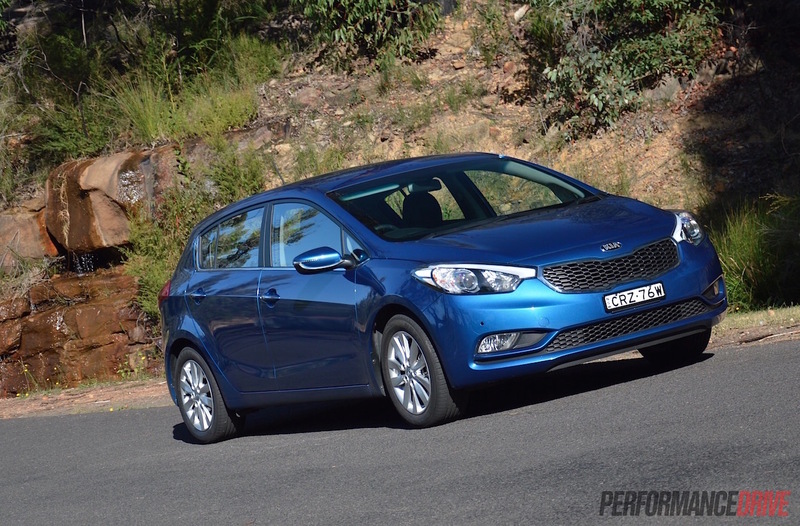 The entry-level Cerato S starts from $19,990 (plus on-road costs) and comes with a 1.8-litre petrol mated to a six-speed manual transmission. 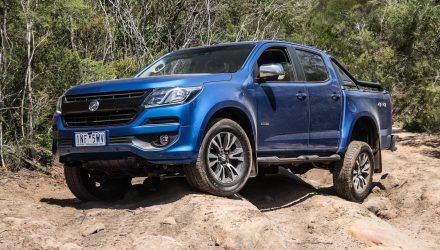 The S Premium receives a seven-inch touch-screen infotainment system, 16-inch alloys and some interior trim improvements, starting from $24,990. 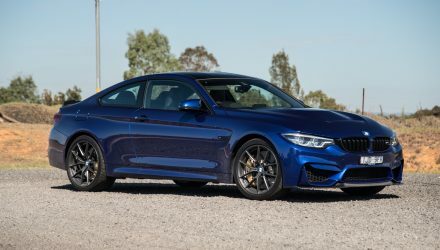 Our test car, the Si, is priced from $28,990 and receives extras like keyless entry/start technology, parking sensors and reversing camera, improved leather-trimmed interior a more powerful 2.0-litre four-cylinder engine with direct injection. Stepping inside the Cerato, if you remind yourself that you’re inside a Kia, we guarantee you’ll be pleasantly surprised by the cabin’s appearance and ergonomics. 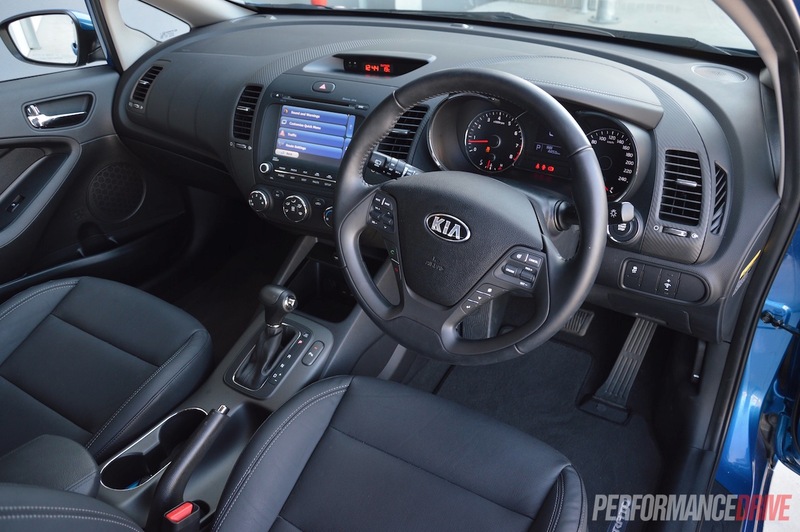 Kia has made sure to keep clutter to a minimum, and as a result the front of the cabin feels superbly spacious for a car of this size. The leather seats and driving position are comfortable, and even the instruments, despite being carried over from Kia’s cheaper models like the Rio, have a more sturdy and quality feel about them. The central console and parts of the surrounding dashboard are covered with a faux-carbon fiber material, which is a bit of a bizarre decision considering this is just a small car with a four-cylinder engine, but is better than looking at some cheap black plastics melted together. 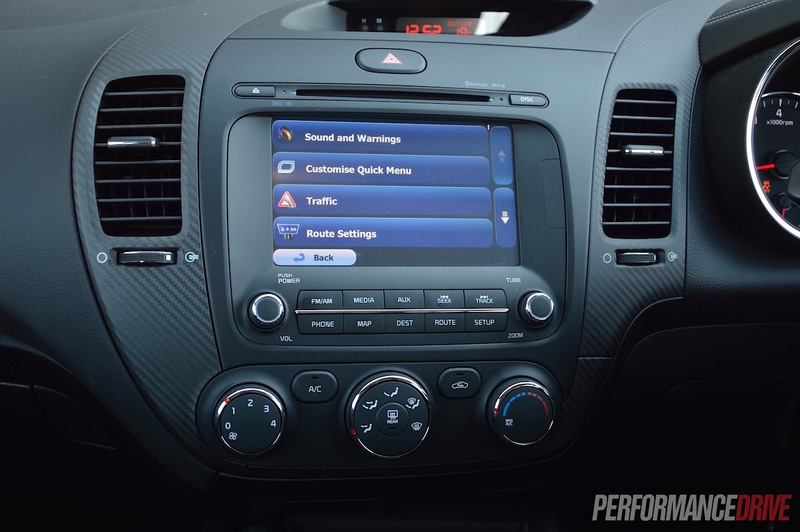 The seven-inch infotainment system is one of the more impressive aspects of the car. 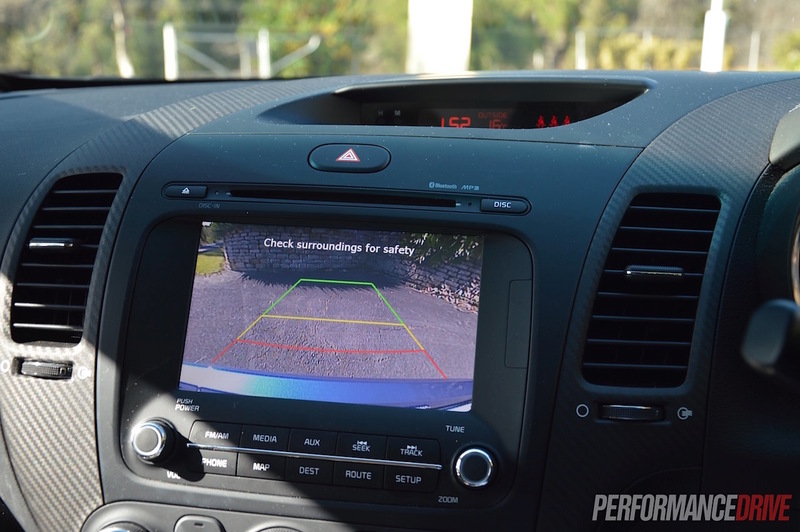 We’ve had some troubles in the past with Korean in-car systems, but the Cerato’s system performed above and beyond, and also has one of the best displays and rear camera quality in the segment. 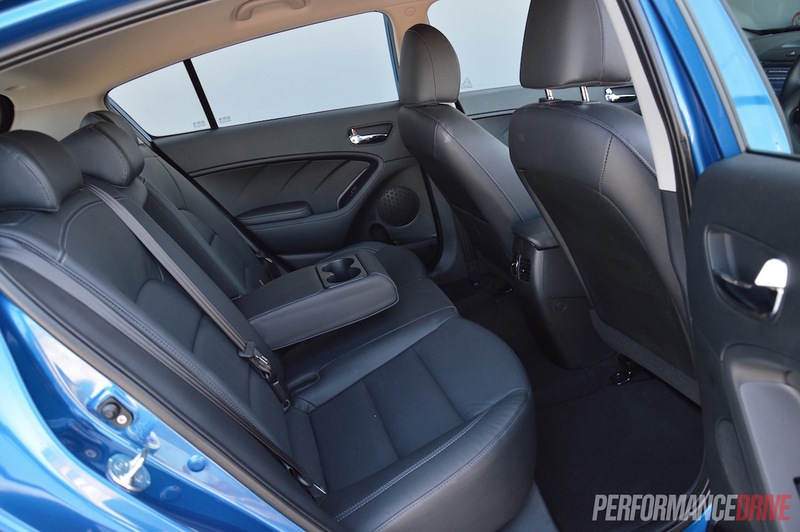 The rear of the cabin has ample legroom for full-sized adults, and could perform well on a long-distance trip. 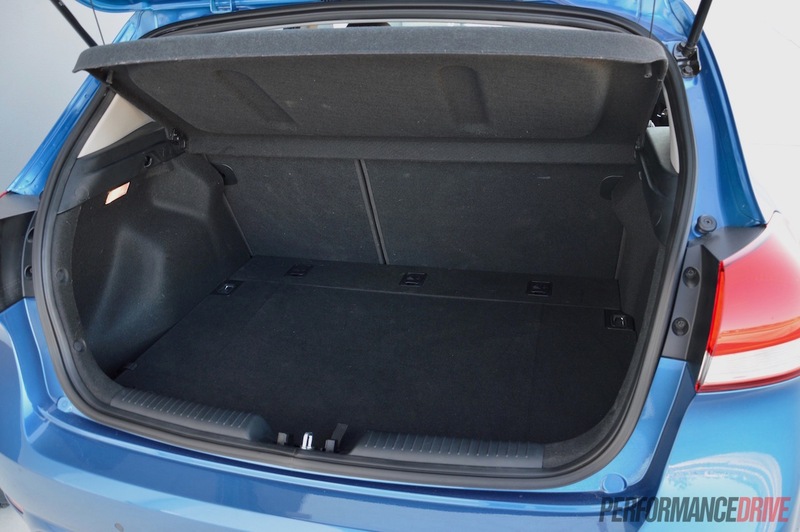 The same too applies in the boot, with a luggage capacity of 385 litres, which puts the Cerato right on the money in terms of practicality with its competitors. 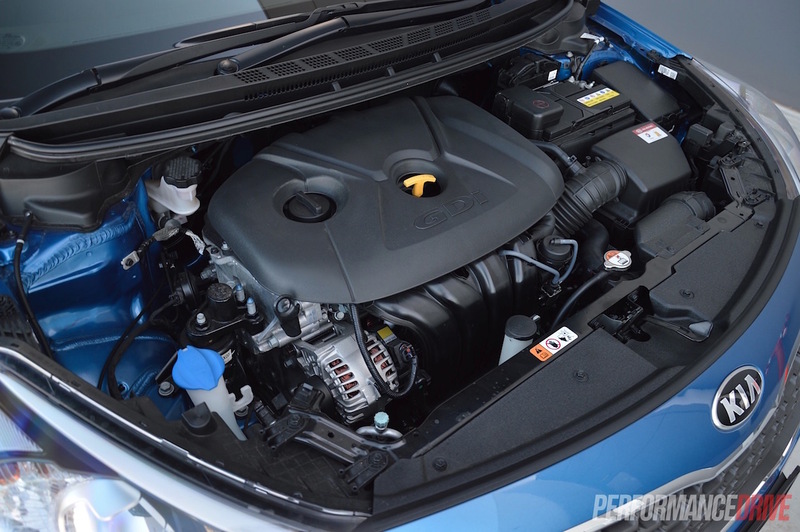 The Cerato Si comes packaged with a 2.0-litre GDI petrol engine, producing a respectable 129kW and 209Nm. 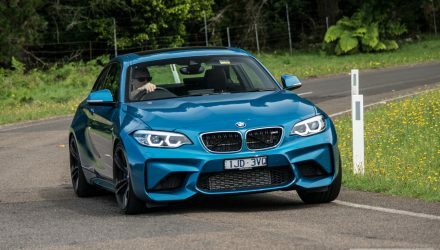 There is a lot of power at your disposal if you’re in the right part of the rev range, however, it will not reward you for pushing past 4500rpm. 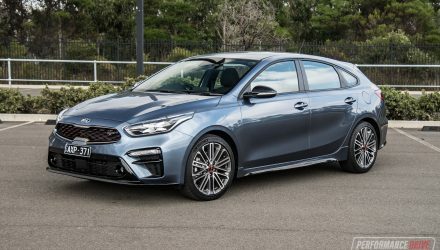 130kW in a hatchback like this is a very generous offering from Kia, but a lot of this potential performance has been foiled by its sheer weight. 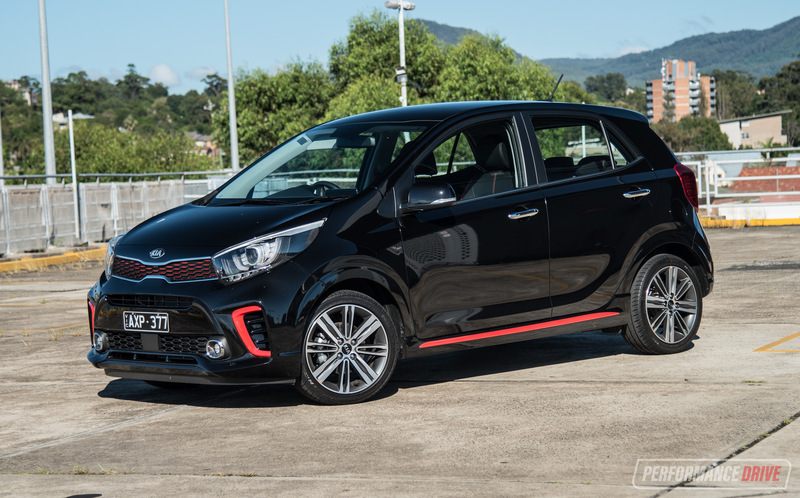 Tipping the scales at 1309kg, the chubby Kia is packing an extra 50-100kgs over its main competitors. 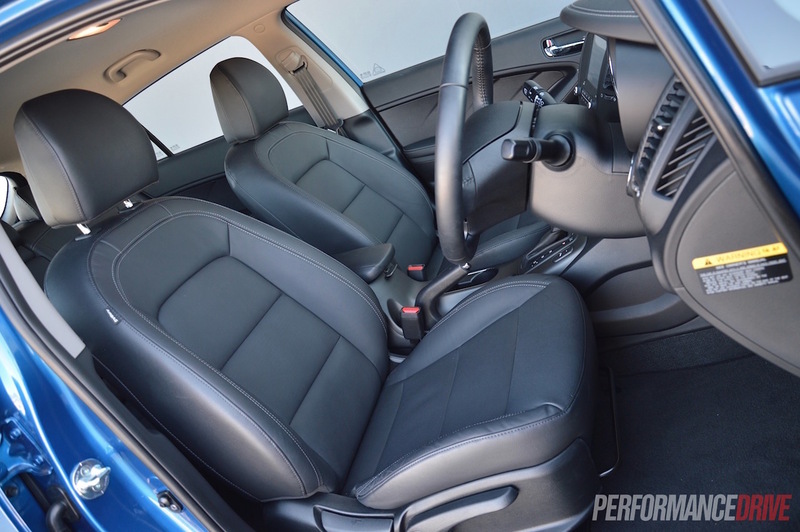 The six-speed auto transmission in the Cerato is a solid unit, and offers quick and smooth shifts, but you do notice the engine is always wanting to kick down at the slightest tickle of your right foot. This is a result of the lack of torque from the engine, not peaking until 4700rpm, which becomes pretty obvious when climbing. 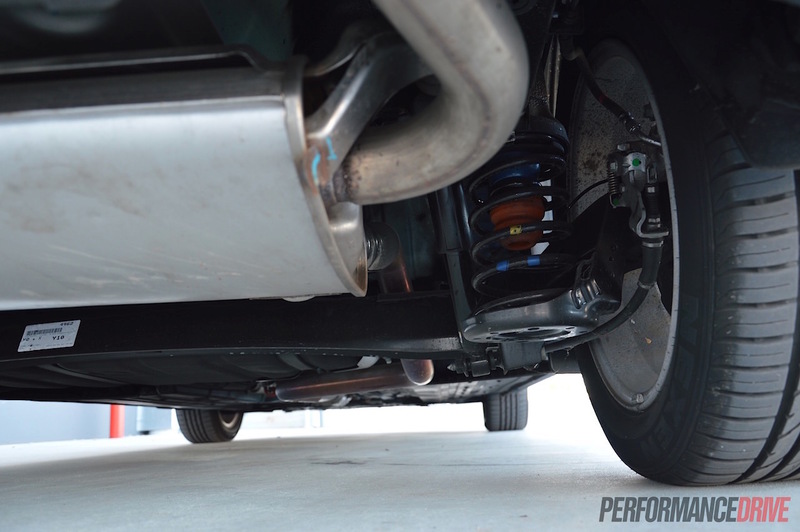 Lacking that push, the transmission kicks down to maintain speed. In turn, this does impact fuel economy. 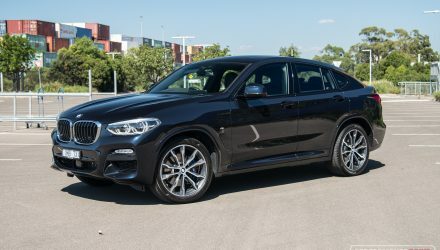 Going by the official Australian Design Rules figures, it offers a combined cycle of 7.4L/100km and a city cycle of 10.4L/100km. 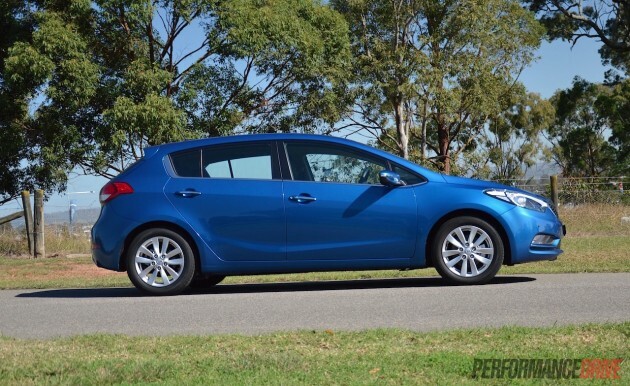 Thus, the Cerato isn’t class-leading when it comes to economy. During our time, we were able to average around 8.0L/100km around the city, but this was thanks to a feather-light right foot. If you want to drive enthusiastically, expect to be well into the double digits. 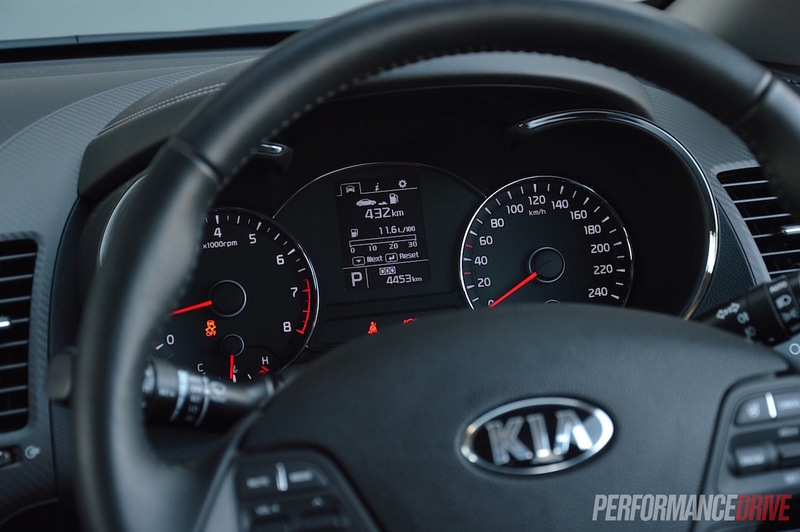 Kia has added three different modes for the steering feel in the hope of providing a more dynamic character when the mood strikes. In theory, this is a welcomed addition; in reality it’s a dud. 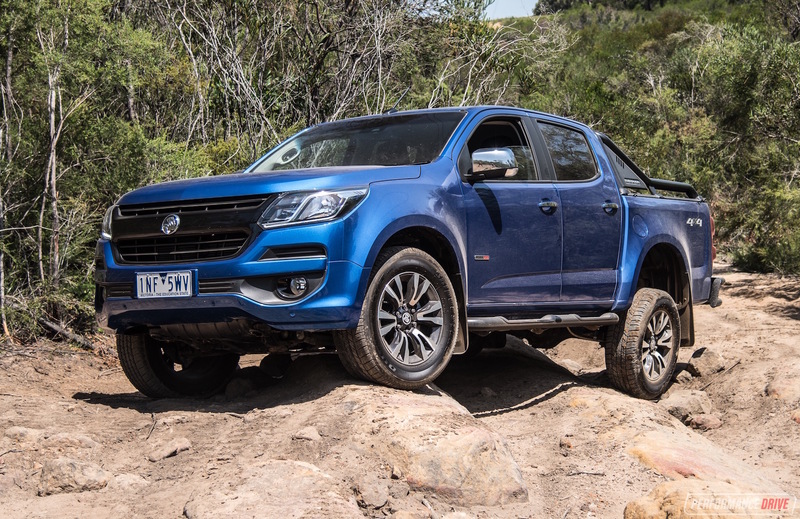 While the sport setting does add weight, you still feel as though there is a large barrier detracting from really knowing what the front wheels are doing when the pace picks up. 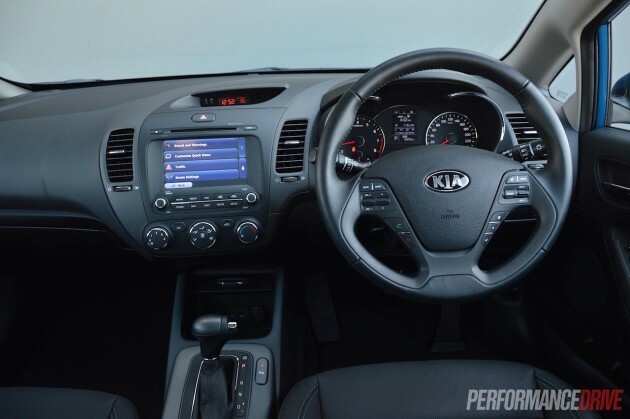 The comfort setting makes steering so easy you can navigate a roundabout simply by blowing on the steering wheel. 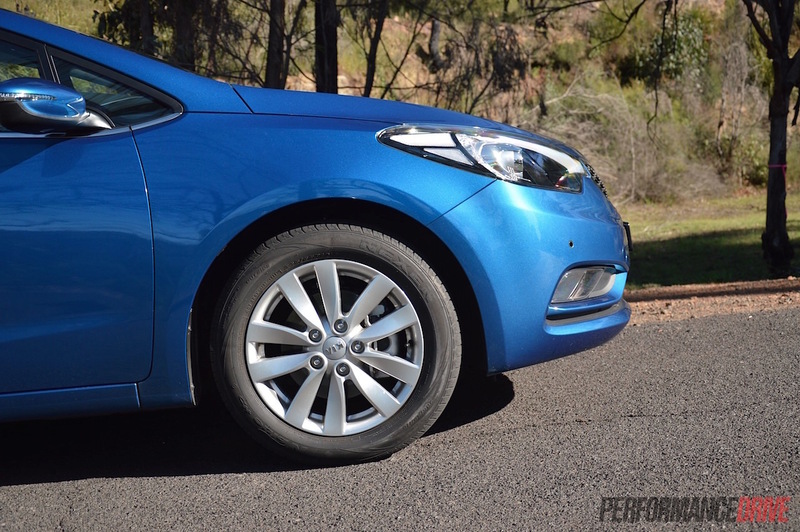 Having said that, the Cerato Si by no means falls behind the pack when it comes energetic driving. Kia worked hard on improving the Cerato’s chassis and suspension setup for Australian roads. 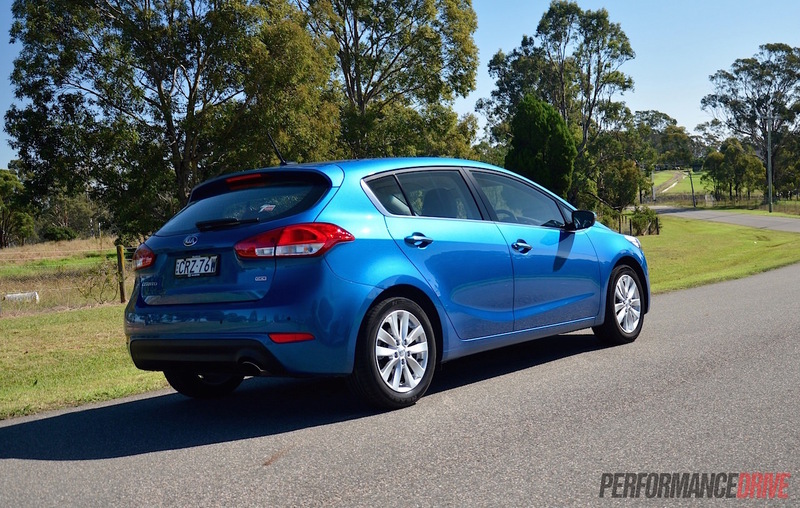 Around the city, the ride quality will make a Toyota Corolla or Holden Cruze blush. 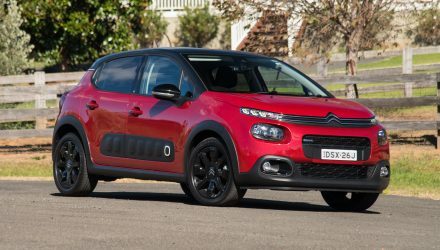 The suspension setup is accommodating for bumps and divots in the road surface, and there is minimal road/tyre roar inside the cabin. 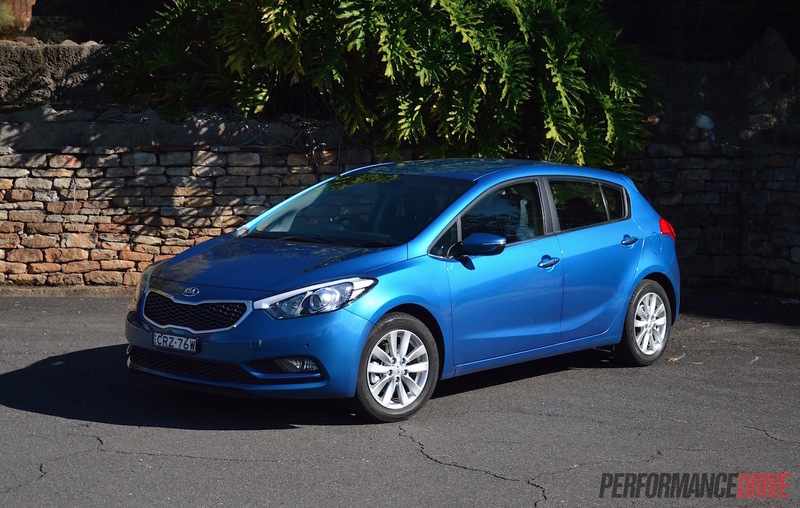 If you throw the Cerato into a tight corner, you’ll be impressed with Kia’s improvements in minimising body roll, especially considering the weight the engineering is disguising. 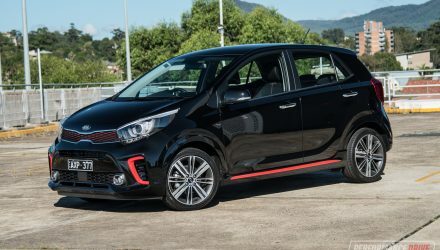 Kia is a brand that has been known as the maker of cheap and cheerful cars. With the price tag of this car being a smidge under $30k, the question needs to be asked whether the Cerato can hold water when the ‘cheap’ part of that statement is taken out of the equation. 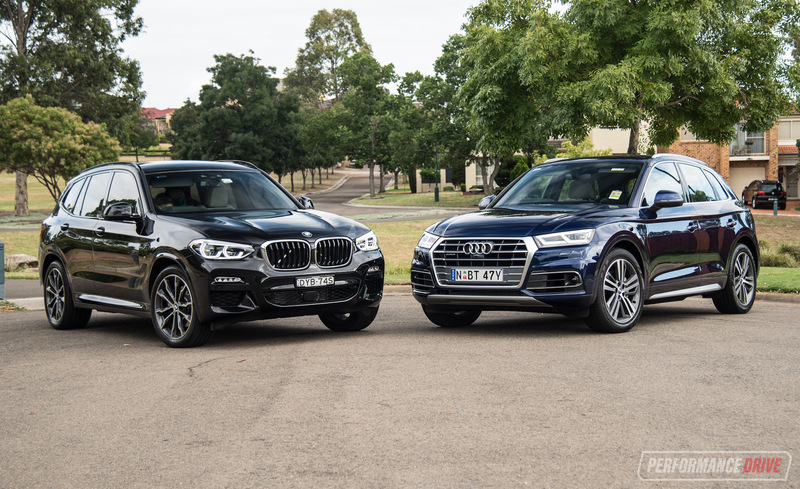 The well-established and mostly better engineered and dynamically superior rivals are priced very close to this. 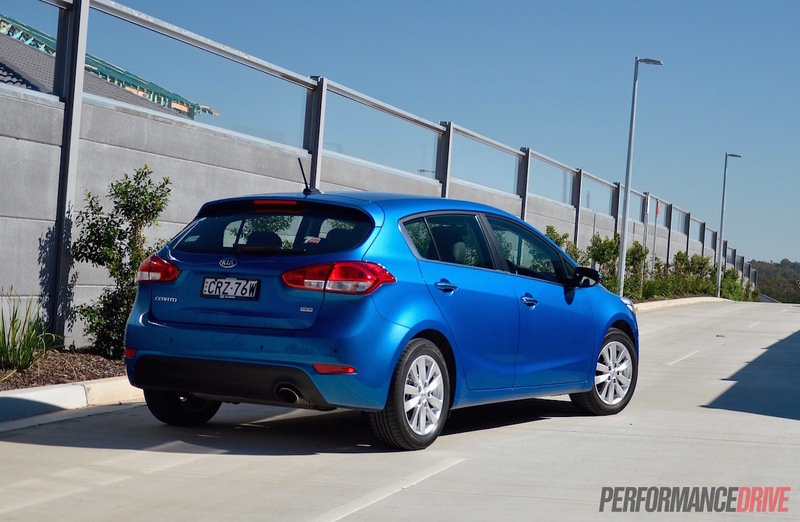 In some ways, the Cerato Si is nibbling away at the toes of the closely-priced Mazda3 SP25 GT, for example. But in most areas, it does fall behind. The driving experience and economy figures simply can’t match the fiercer competitors at this price point. 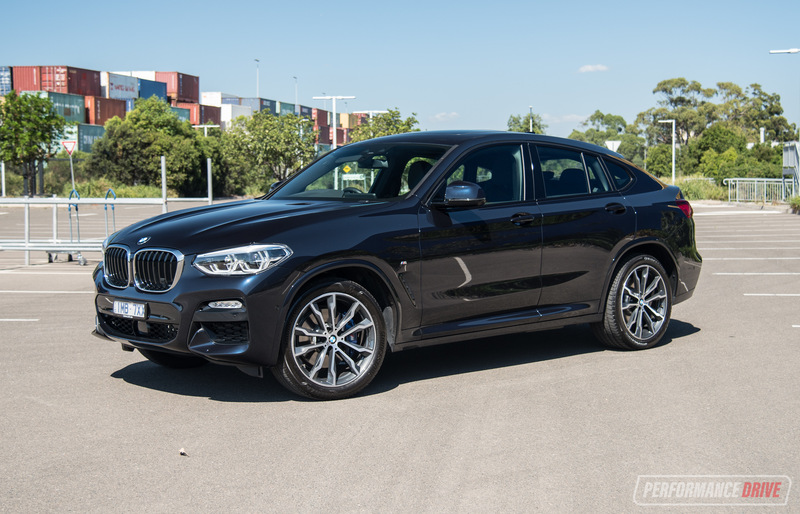 On the other hand, if engine power is not a high priority for you, we recommend going for the impressively-equipped 1.8 S Premium, which starts at around $25k as mentioned. 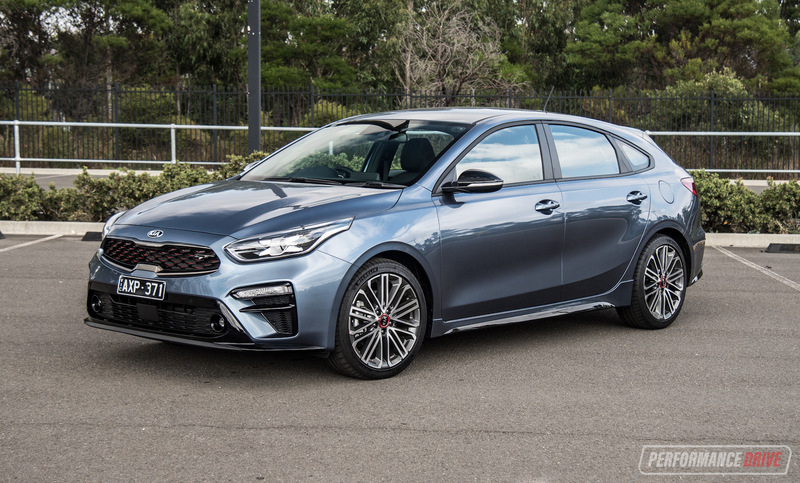 As an overall package the Cerato Si is a quality car in its own right, and one that may well change people’s minds when it comes to a Korean car. Don’t believe us? 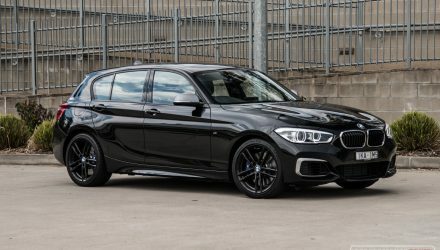 Take one for a test drive and see what you think. And be sure to let us know what you thought in the comments section below.